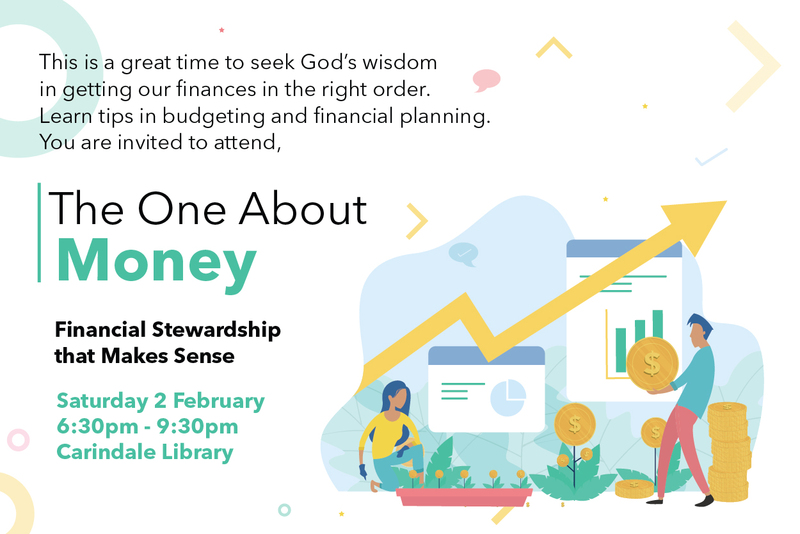 The One About MONEY - Financial Stewardship That Makes Sense - Every Nation Christian Church Brisbane Inc.
We are looking forward to our first learning social this year, which is open to anyone who would like to learn more about the basic principles to wise and faithful money management. Start your year right and develop solid habits on proper wealth stewardship. See you at the Carindale library meeting rooms, 6:30 pm, Saturday, February 2. NOTE: This is a free event, however, registration is essential via the Guest Services corner or by following the link here. Light refreshments will be served and we encourage you to bring your friends and family to “the one about MONEY: financial stewardship that makes sense”. Download the invitation graphic here and email to your friends and family. Better yet, Click Here to automatically email your friends and family right now.